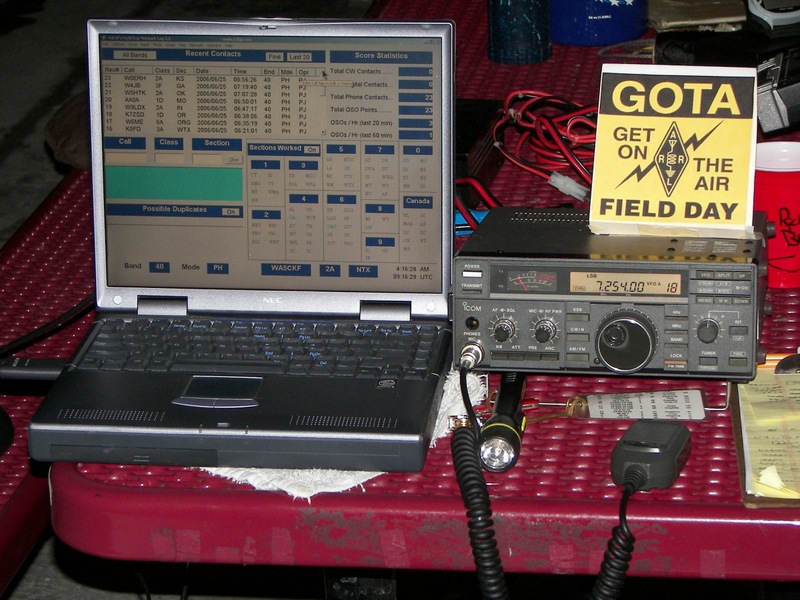 Short video "CQ Field Day", to demonstrate the atmosphere. 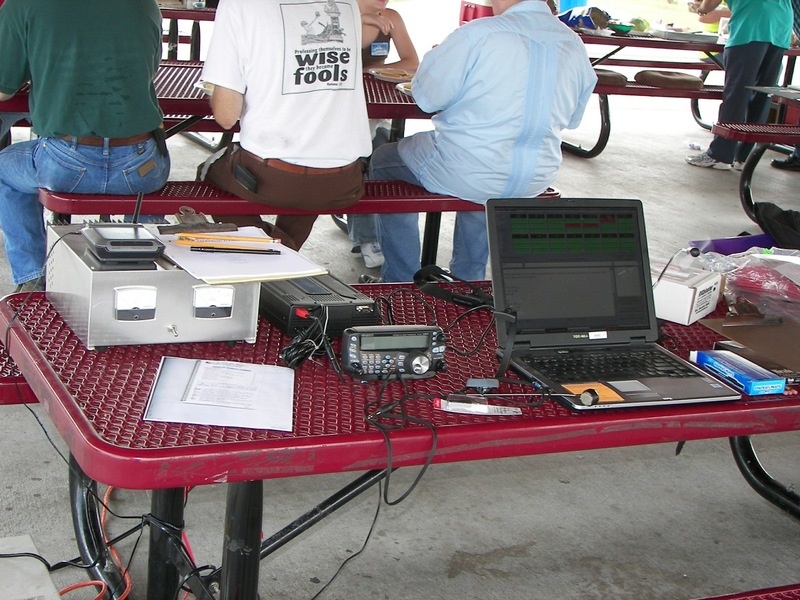 July 24-25 2006: The annual ARRL field day was great fun. 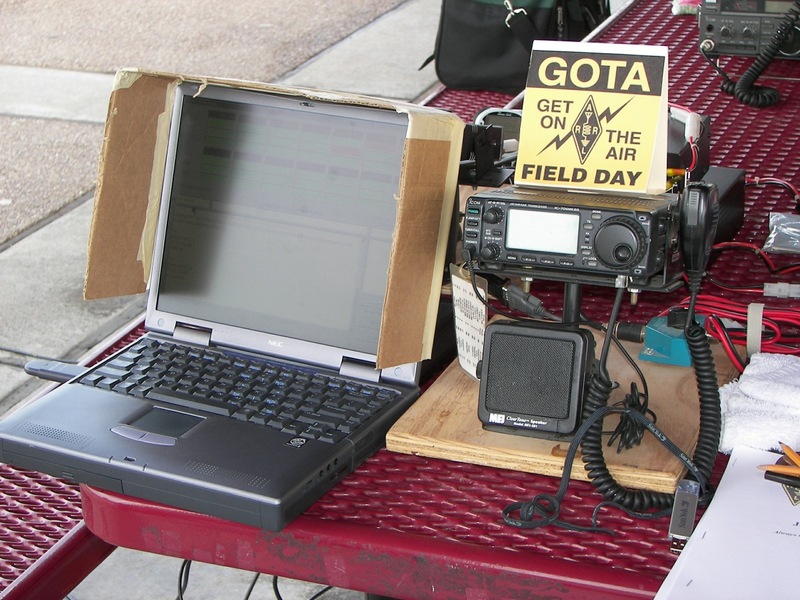 The annual Field Day, for those that do not know much about it, is not only somewhat of an adventure, but also great exercise of the amateur radio operators' skills in setting up and operating a communications system at a remote location and without using commercially generated power. 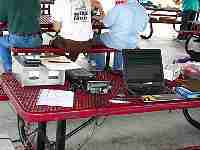 This is only one of many proofs of the Ham Radio community's ability to provide communication in and out of areas where an emergency has rendered the usual convenient means of communications such as telephones and internet unavailable. One thing I always think of, is why would we do this in the middle of the Texas summer heat?? !! 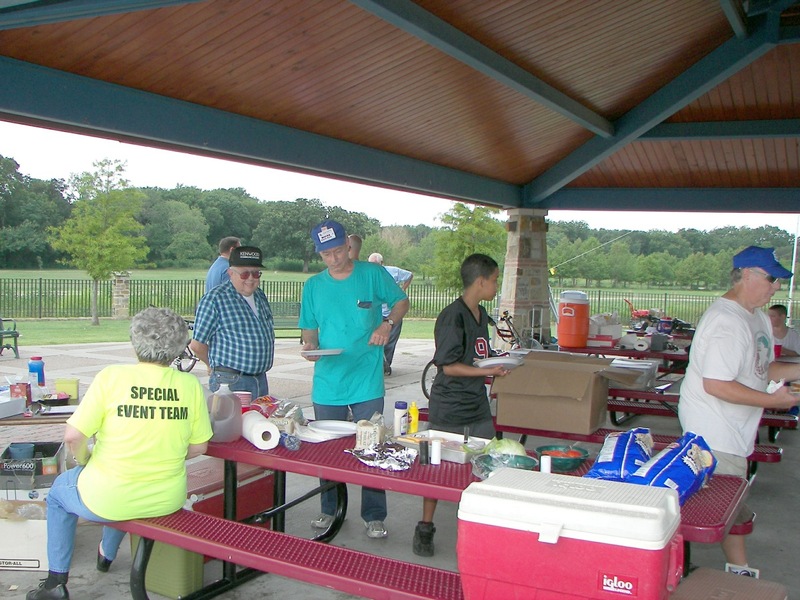 The fact is, sice we are in Texas, its' going to be hot, but up North the weather is very pleasant and the trade off being that the folks in Connecticut, for instance, don't have to set up their gear in 3 feet of snow.. I volunteered to work the night owl shift, and arrived about midnight. I stayed to 6 AM. Irving, Texas is a suburb of Dallas. 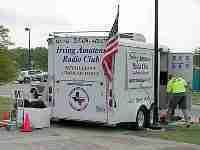 The Irving Amateur Radio Club is one the friendliest and most inclusive groups of people I have ever met. 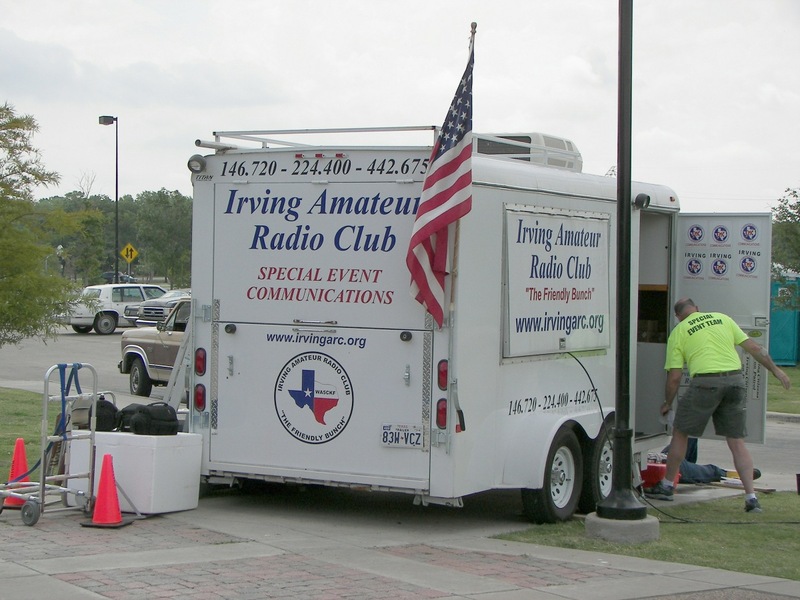 Although I live in Dallas, I prefer to go with the Irving club for most events because the depth of available participation for the average on-the-spot volunteer is greater than in the much larger Dallas Amateur Radio Club. This is not a complaint about the very capable Dallas club, merely my own opinion. Take yer pick. 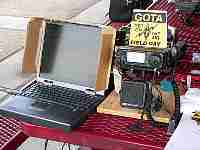 As a communicator in the Texas State Guard, an emergency would find me and my communications capabilities attached to neither organization but rather to the State Military Forces' communications systems. 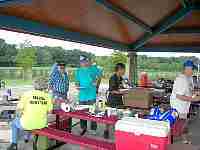 I operated a GOTA station. Between the hours of midnight and 6 AM, I managed to get about 15 contacts. The GOTA class station is not so much about acquiring points, but rather is a more relaxed chance to just "Get On The Air." 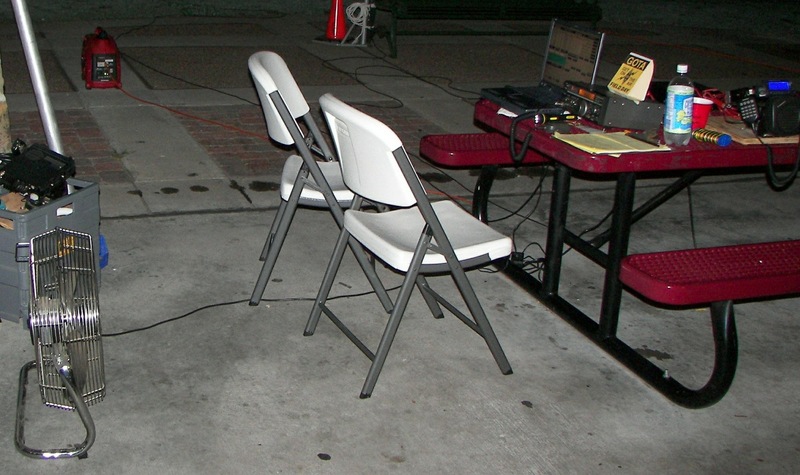 The setup was 100 watts PEP, 40 meter band, single sideband, and a simple long wire of about 60 feet at a height of about 20 feet. The farthest I was able to go was Canada. 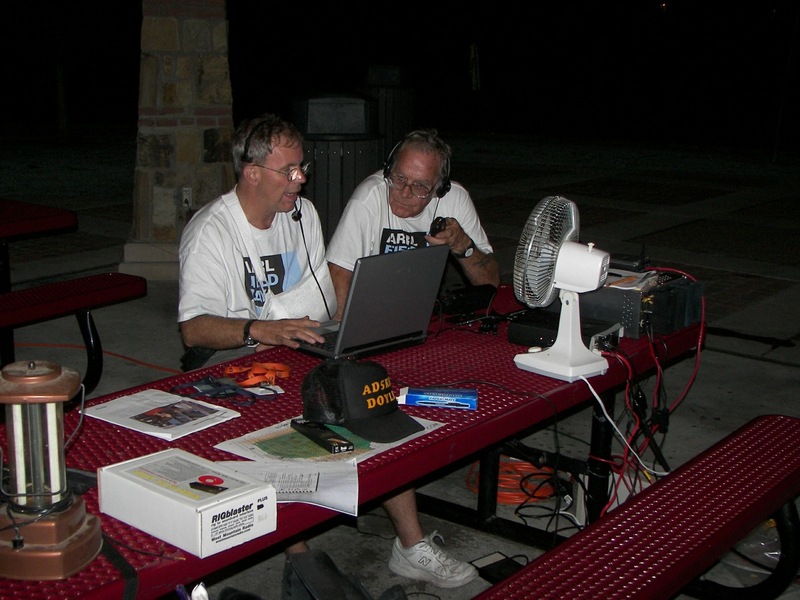 The band was pretty good for the most part, and it's always a challenge to try getting in on the pileups when you are running only a small radio and antenna. Perseverence pays off though, you just have to keep trying an be patient. 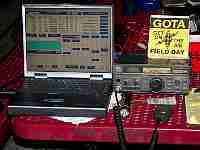 For several distant stations, the use of the phonetic alphabet was the only way to exchange the contact information.